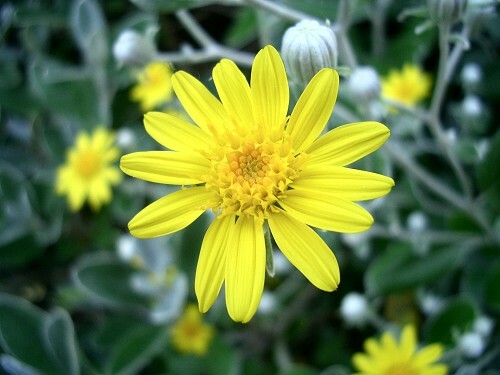 Senecio Sunshine is an evergreen shrub with pretty silver/grey foliage which originally came from New Zealand. 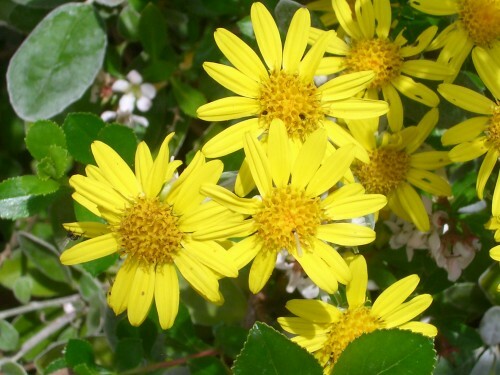 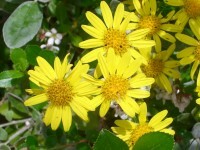 In summer it has clusters of yellow daisy-like flowers, 2-3 cms across. 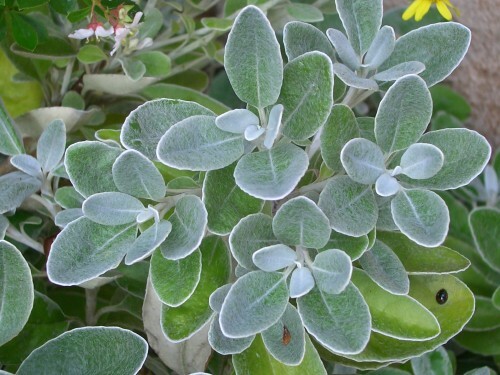 One of the benefits of growing this shrub - the deer do not seem to eat it!